A new food processing plant has begun activities in Saint-Hyacinthe. Fixi Kombucha, a young company specializing in making, canning and marketing fermented tea drinks, inaugurated its new facilities today, in the presence of several partners and local dignitaries. The company will be occupying a 1,000-square-foot space in a new industrial incubator on Choquette Boulevard, in the Olivier-Chalifoux industrial park. Thanks to an investment of nearly half a million dollars, new specialized equipment has been installed, including a fermenter, which will make it possible for Fixi to produce around 500,000 cans of kombucha annually. Kombucha is a fermented tea-based drink (using black or green tea) known for its health benefits, namely its energizing and antioxidant properties and its ability to stimulate the digestive and immune systems. Fixi Kombucha’s products will be sold in cans and will be available in three flavours: fermented apple and ginger, fermented strawberry and basil, and fermented raspberry and rooibos tea. They will be available soon in grocery and convenience stores throughout Quebec. The company also hopes to introduce them to big-box stores across Canada in the near future. 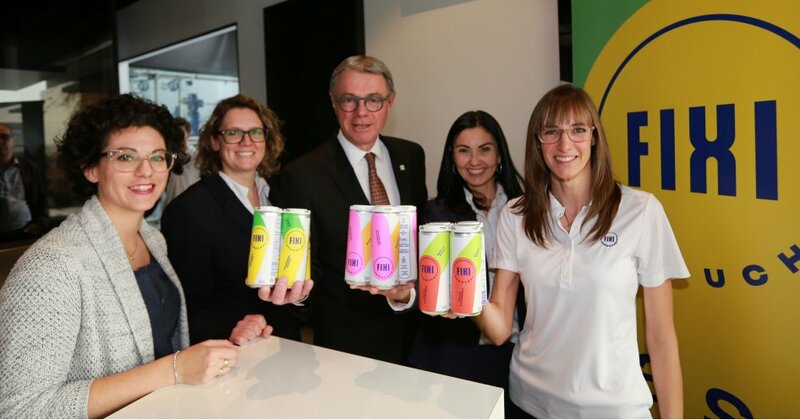 In addition to receiving entrepreneurial assistance from Saint-Hyacinthe Technopole, Fixi Kombucha also received financial support from Desjardins Entreprises Vallée du Richelieu, the National Research Council Canada, the Business Development Bank of Canada and the Ministère de l’Agriculture, des Pêcheries et de l’Alimentation du Québec. The project has created three new jobs. 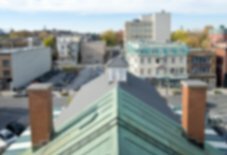 Saint-Hyacinthe has once again been recognized for job creation. It was named Canada’s top job market, based on a study by Ontarian job research group Express Employment Professionals.